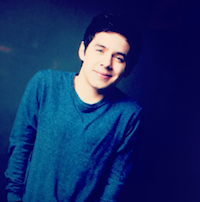 ← David Archuleta: Whataya want from him? NASCAR: David Archuleta starts all engines! At the Auto Club Speedway in Fontana right now! Wanted to let you guys see the track while the racers get ready for the Royal Purple 300 as well as the Sprint Cup tomorrow. Had such an AMAZING time riding the Goodyear Blimp! Thanks so much to Goodyear for the experience. Wow, I am on NASCAR overload right now. That vlog? His face at 2:22 when he searches the sky for his beloved Goodyear blimp?? That anthem??? The buzz???? … oh, wait, apparently there’s some sort of car race that goes on too … anyway, scroll below for just a sampling of the twitter frenzy that erupted after David sang the Star Spangled Banner. I can’t believe I get chills right up to my earlobes and my eyes start to well with tears for another country’s anthem … that’s the Power of the Archuleta! @kathryngx14: Omg. I gotta record the beginning of David Archuleta’s anthem. The girls that screamed when they announce his name…I laughed so hard. @brian_fletcher: From those 14 year old girls shrieking, I couldn’t tell if David Archuletta was singing the national anthem or listing puppies. @killercoreyy: LOL I’M WATCHING THE RACE. just for david archuleta. @CassandraMcKown: oh good lord you could hear the girls screaming when they announced that david archuleta is singing the national anthem for the race. Rumour has it: David's starting his own Goodyear blimp fansite (called the Snarky Blimpies). @ElisseMayo: @DavidArchie you sang the national anthem so incredibly amazing..
@kithymanningfau: David Archuletta is the Bomb! !Awesome National Anthem 4 Nationwide Nascar! YES!! @josieatwood23: Wow @DavidArchie you sounded fantastic singing the National Anthem for NASCAR! You looked good too!! @dexterdame: @Buffythecat David someone-runner up a couple of yrs ago at AI. He did a good job-color me pleasantly suprised! @SummerDreyer: I’d never heard this guy sing before…. He’s pretty good actually. #NASCAR … I’m gonna try not to butcher his name here … I think David Archuleta? @sammikns uhm: @jeffgordonweb, please convince @nascar to bring David Archuleta back to sing the Anthem at a Cup race someday? :). @Angie_Rua: David Archuleta performed a beautiful version of the National Anthem today in Fullerton CA at the NASCAR Royal Purple 300 car race. @FKayeNASCAR: @davidarchie landed that anthem. Nice pick, @ACSupdates. @TheVoiceDA: Text from djafan (she’s at NASCAR) “…he’s watching now. He rode the first lap with grey cars” / from ITTO88: He rode on the back of one of the convertibles during driver introductions. @ZontarLives: @DavidArchie GREAT JOB DOING THE ANTHEM!!! SO NICE TO SEE YOU TODAY! Thx for the great performance. Love ya Bro! @NShoutNfans: Wow I just saw @DavidArchie sing on ESPN that was amazing! @Brooke_Smith9: Wow! 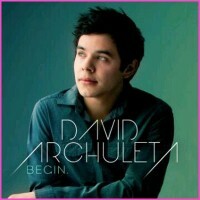 Best anthem of the year from @DavidArchie. I wish he sang the National Anthem before every race! 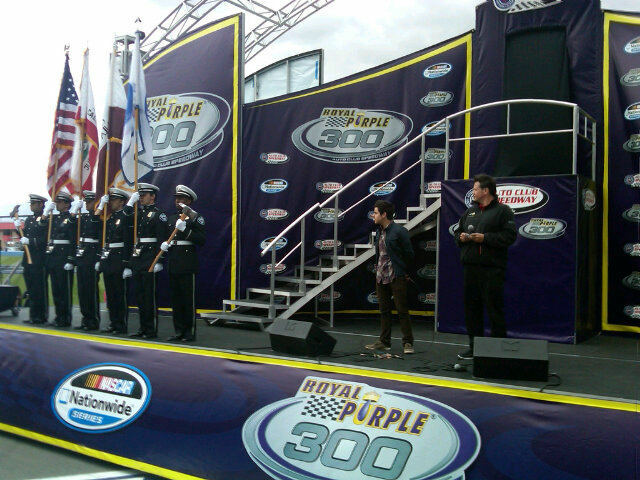 @ikisstheground: Beautiful job on the national anthem at the NASCAR Nationwide race, @DavidArchie! @YoSwanny @Jas5809: @DavidArchie Archie should be our designated national anthem singer. @Mrkennyschafer: David Archuleta did so good on the national anthem 🙂 def. a great voice. NOW LETS GO RACING! @jeff_gluck: David Archuleta doesn’t know any of the drivers, nor does he have a favorite. “I’m just impressed by whoever shows their skills,” he says. 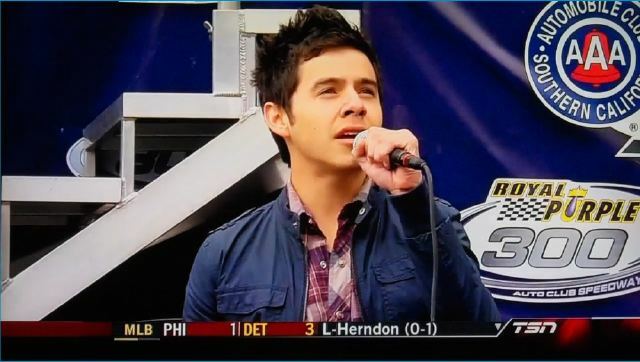 @IndySkye: Christina Aguilera and others should listen to how @DavidArchie sang the national anthem today. That’s how you make magic. @NorCal_: Forgot to mention David Archuleta sang the National Antthem today. Didn’t think I’d say it, but he was great. Perfect job. This entry was posted in Fan experience and tagged David Archuleta, Goodyear blimp is cool in case you haven't heard, NASCAR, Star Spangled Banner. Bookmark the permalink. 54 Responses to NASCAR: David Archuleta starts all engines! BTW…I also took a vid and tried to zoom up on David’s face (“tried” is the operative word). You can find it on youtube under my channel “pastelpastelpastel”. Thank you!!! Here it is, super zoom! Wow! You did a great job with all those tweets!! I really enjoyed reading them! David was amazing and no one sings the NA better! Thanks my neighborss to the north. Wasn’t he something Nascar fans. Didn’t Simon lie. You’ll know when you know David as we do. This man is so genuine, so humble, so true to his music. David is not one of those, strippers in the background, singers; he’s the real deal and his voice doesn’t need flash and mirrors to support his music. This man can siiiiiiiing! By the way, I’ll bet you dollar for dollar, not all those screams were from teenagers. 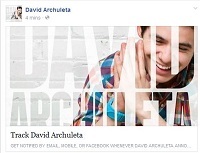 David Archuleta has the most far ranging fan club around, from 2 – 92 for sure. Too bad the Fighters came in on his crescendo. Man! Palm to Heart_ always a David lover. 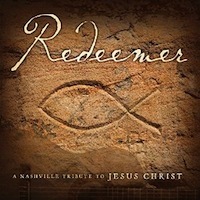 AMAZON http://amzn.to/fQHrp8 <- if any of those fantastic NASCAR tweeters come by to browse, here's a link where you can purchase David Archuleta's new CD "The Other Side of Down". You'll love his music..I promise you. 🙂 ~also can be purchased at Target & WalMart too. It’s really true, NOBODY sings the National Anthem better than David does. It’s a difficult song and to be able to put so much pride in the country in it without showboating at all is just pure TALENT. Oh, and I laughed at “Snarkie Blimpies” but I don’t think David has a drop of snark in him. In fact, I think it just puzzles him. Thanks Tofan for all the tweets ,videos etc. Love hearing from everyboday and see the anthem trending because of David. So cute that he took in the whole experience and so proudly shared it all with us. Oh and the Blimp was there too! David surely picked up some new fans today. Building the tower slowly, one brick at a time. Today’s performance shows that he needs to get out there to be seen and heard. Hope each newbie buys a copy of TOSOD. Thanks TOfan, for the good read! Thanks TOfan! Not only did David sing The National Anthem fantastically he also looked great!! Love him!! Great post Deb. It is so fun to see tweets from “new” fans. Perceptions, acceptance, awareness and appreciation of David can be changed one tweet at a time! haha. Thanks for compiling all these tweets for us here. Love the love people are showing him. He is a national treasure and no one sings our anthem better. So proud of David. TOFAN – What a terrific Post! As somesone stated earlier – all you need is one listen or one glance and something profound just seems to happen to people when David is present. I don’t know if it’s the newfound freedom or what but today in both the vlog and on tv, the stunning eyes, the great haircut and confident singing bowled everyone over. It was a great day in Archuland and I’m proud I give my fullest support to this one of a kind artist. And joymus, I wholeheartedly agree. Deb !!!! <333 I missed most everything yesterday so special thanks for capturing and posting all the AWESOME buzzzzzzz and spazzzzzingggg! It was so fun to read <3333 New fans wooohooo! Another wonderful National Anthem performance .. and the vlog! Loved Loved Loved seeing him stoked LOL and having FUN! Yayyy!!! trish – didn’t he seem so geinuinely relaxed and happy in the vlog and then singing!!! awestruck – I know that’s what I thought too .. happy and relaxed and it was wonderful to see :))) and then reading djafan’s recap sounds like it was spot-on! Sounds like he was embraced by fans and NEW fans! So glad he had a blast! Yay! for shorrre. 🙂 n’ I love that about him. …I was like “Noooooo… jets on the Glory Notes?!! …on David Archuleta, period?!! Noooooo….NEVA’!! Let us have some respect for “The Voice”, peeps! TOfan what a treat to read your article and to see all those tweets! Makes my heart float up high like the Goodyear Blimp. Great post Deb!! It was fun reading all the cool tweets! Thanks guys, it was sheer pleasure to gather up those tweets, made my heart swell with pride! “David did meet Molly and Howie, wasn’t televised but I saw it, I was there!!!! David was beyond amazing and the response was tremendous.I was at the bottom set of bleachers and watched while they introduced him, Ringwald, Mandel, and all the race car drivers. The car drivers shook hands with David and the rest.When David stepped of the stage while they did more introductions and was immediately surrounded by people on the ground surrounding the stage including the drivers asking David for a picture. David took pictures and signed autographs until he was led back to the stage for the NA. “Off the stage he went again and once again he was surrounded and was then escorted to the center of the race track where the pictures and autographs continued. Some gray cars pulled up behind him and all the others and was I surprised to see him get in the front passenger seat of one of them while Molly and Howie got in the others. They took off around the track, pretty fast and waved as they passed the stands, the race cars followed behind. David jumped out the car looking mighty excited. He stood there while people continued to take pictures. “When the race started he clapped and jumped watching the cars go round the track. And then after watching a few laps they led him off to the buildings where there were indoor viewing areas, probably where he did the vlog from. Awww Deb, thanks for this. I worked late, and then again, early this morning and missed so much. Loved every tweet. Loved the omg’s. The mancrushes. The Idk who he is, but he did one helluva jobs. The beautiful jobs. Thanks. I think I always end up keeping everything under 140 characters. 🙂 And I love everything you write. Wow.. this was great! Loved the tweet collection and TOFan’s observations. We are so hungry for DA news that this was balm to the anxious heart. Toss in the vlog and the amazing performance and I’m happy… for a while. Thanks to all! River, “balm to the anxious heart”, yes. I keep thinking about all the terrific tweets and how he touches people wherever he goes. “…I didn’t know that many 12 yr olds went to NASCAR races”…there aren’t. Thank you Tofan, for gathering all the tweets! just love reading the ones from those people discovering the Voice for the first time! woo hoo! except I am two days late!!! Tofan this is awesome that you put these tweets together! Love the new fans getting all twitterpated! There really is no one who can sing the American anthem as he does. simple yet stunning. Back in ’08 at the TO Idol tour he did one line of “Oh Canada” and it was perfect ! It has been a very exciting weekend for me as well…. I have launched my website and living my dream!!! TOfan has put a link in the sidebar ((((hugs))), so check it out!!! EEEEp… thanks for all your encouragement peeps!!! Just wanted to add my thanks for gathering all those tweets. I love hearing positive comments from nonfans. And now I have a craving for In n Out Burgers…wonder why? I LOL’d at that In & Out Burger tweet, then it occurred to me that it’s only natural that all these meetings and foundation-laying efforts would be exciting for David but, as with any brand new adventure, likely fraught with trepidation at the same time. He auditioned for Idol never believing he’d make it very far, but he did it anyway. Just one of the many things we admire about him. NASCAR fans are intense and r famous for their loyalty and longevity. Had a chance once to go to Daytona 500 and the most fun was watching the diehard fans. :D. I enjoy listening to NASCAR fans. Met Mike Martin once when he was driving the Viagra car. So glad David got to sing to such a loyal crowd. Looks like he gained a “few” fans. Please vote for “Crush” at Musiqtone’s Video of the Week poll: 50 votes every 12 hours. Voting ends 11:59 p.m. ET on April 10, 2011. Watching Jay Leno and he has Howie Mandel on and he was talking about the NASCAR race and he mentioned David Archuleta TWICE!!! He said, “and David Archuleta was there” and “David Archuleta sang the NA”!!!!!!! I couldn’t believe how excited I got when I heard his name mentioned – LOL! lol, and so nice he didn’t have to mention A.I. or explain who he was! Happy Wednesday everyone, catching up a bit here. Saw Leno too and Howie’s mention of David was nice!! Forgot Howie is from Toronto, funny guy. Good to see so much buzz still about Nascar, so very buzzworthy! TOfan, that article you posted about the music critique was very interesting. The base of ‘core fans’ that David has, makes all the difference. He is well established in that way and the rest he carries with him always, the voice, the artistry, the creativity, the persona…it’s all there. It’s exciting to think about what lies up ahead for David. Whether he goes with a big label or independent, even “Squiggly Pig” Records, haha…..all will be good. Loving the rapid increase in David’s Twitter followers too! David’s rendition of the SSB is so gorgeous. Somehow I missed this particular video of David singing the song at about 13 yrs old. I could be the only one who hadn’t seen it, lol, but gosh it is so, so sweet. Probably around the time he was battling his vocal chord problems too. Hats off to David’s SSB…at any age. aww, Peppertara, so cool to hear his 13-yr-old version!